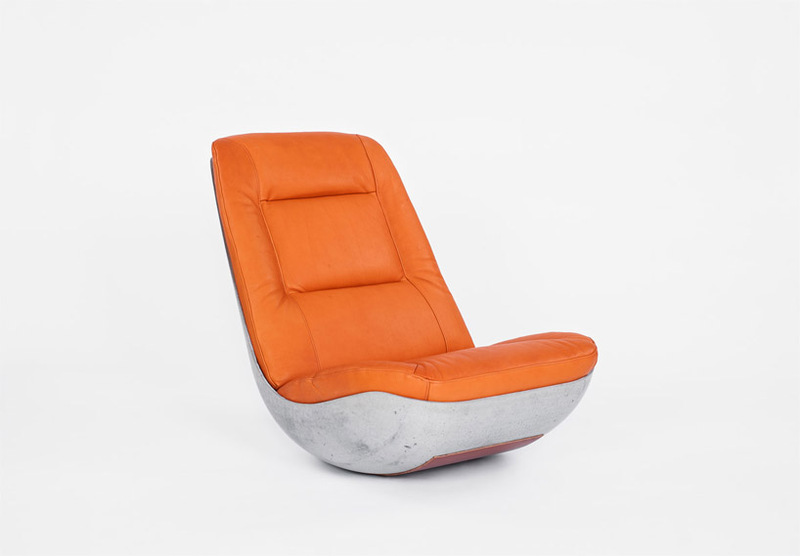 combining stability with fun and comfort, ‘swing’ chair produced by paulsberg is a striking piece of concrete furniture. 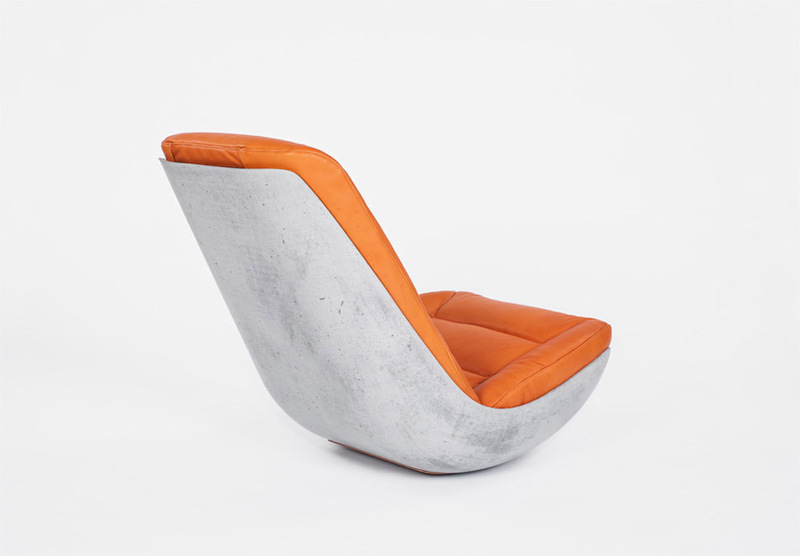 one of the world’s first rocking chairs made from carbon-fiber reinforced concrete, it shows a high finesse with the handmade structure being just 5mm thin. 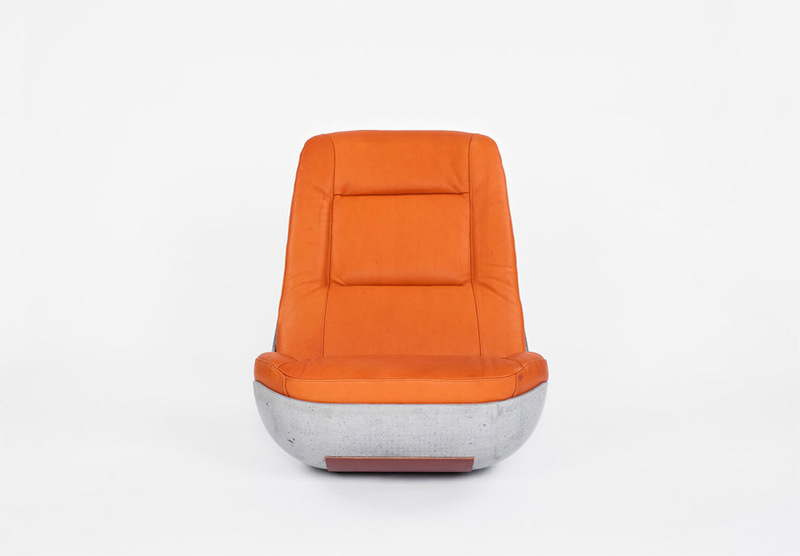 the ergonomically shaped, hard exterior is contrasted by its soft bio-leather upholstering. 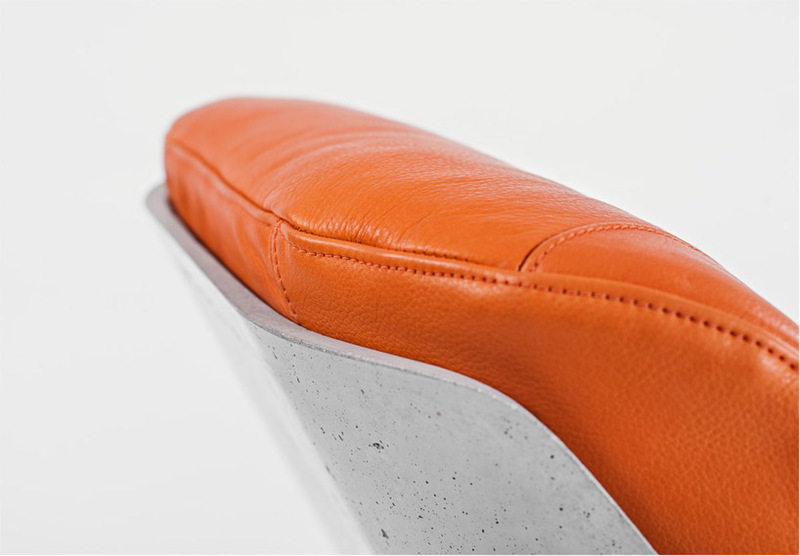 at the bottom third of the 600w × 800h × 800d mm object, a sheet of leather is applied to protect the floor from all that rocking. 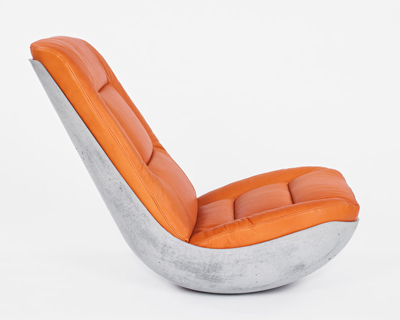 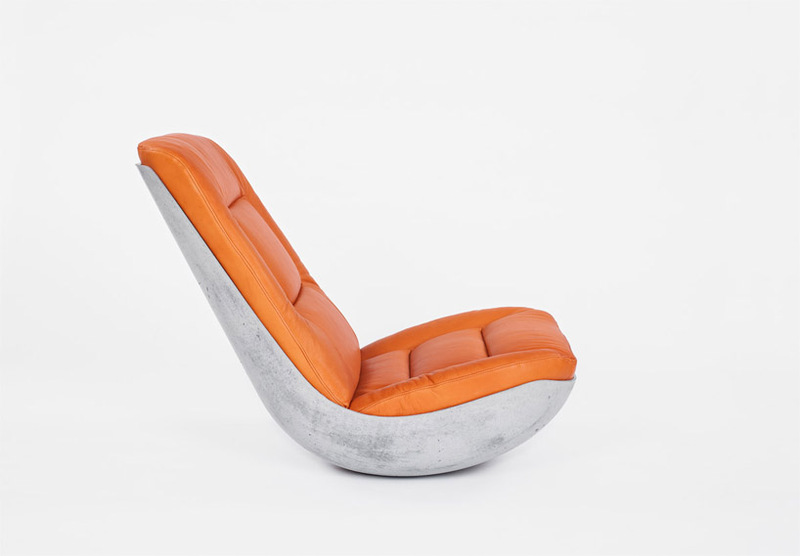 produced in stone gray or mouse gray, the approximately 30kg chair is available within a limited edition of 100 pieces.